Available by mail order: UK - £10, inclusive of postage and packing; non-UK - please enquire. Contact details for orders/enquiries: Peter Burnham, 5 Bridge View, Warkworth, Northumberland, NE65 0SL. Tel: 01665 711388. "I think it’s a triumph. Such lovely singing, very well rendered. It's so difficult to put any performance on record, but particularly folk, so all the more credit to you all. The CD has heaps of personality - which is not surprising really, coming from you lot!" - George Thomas. See full reviews in Netrhythms and the Nottingham Evening Post. An enlisting song heard by Thomas Doubleday on the streets of Newcastle and published by Blackwood’s Magazine in 1821. There are numerous variations but none stray far from the 1821 storyline. The version we do came from Miggy via the singing of Marilyn Campbell. 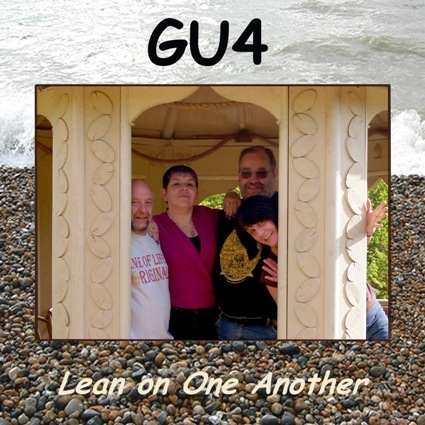 This is a song about childhood memories of Sussex, inspired while watching the movement of pebbles, being worked by the sea on the beach at Pett Level. However Bill, a geologist, thinks it’s just about rocks. From the singing of the Copper Family of Rottingdean, Sussex. A wonderful song written by our friend George Thomas about a roguish knave bent on enjoying life to the full. Written by Richard Grainger from Teesside. He recorded it in 1990 on "Darklands", dedicating it to all his friends. We tend to think of the demise of the fishing industry as a modern phenomenon but Watson's lyrics were written in South Shields in 1899. Johnny Handle set the words to music for inclusion in the Northumbria Anthology. We got the song from Benny Graham. A song of the hunt. We don’t like the practice but the songs are too good to ignore. This one was written by Charles Legh of Adlington Hall, near Macclesfield, Cheshire and published in The Gentleman's Magazine in 1747. A hand written setting of the song by George Fredrick Handel, dated 1751, remains in the possession of the Legh family today. The version we do comes from Frank Kidson of Leeds via the singing of the Watersons. Another one from Benny Graham, one of our favourite singers. It is also known as "Soldier Boy" or "Sailor Boy". It was collected by Cecil Sharp and Maud Karpeles and published in 1917 in "English Folk Songs from the Southern Appalachians". Sharp also included it in a 1923 book of Appalachian Nursery Songs. A classic first published in the early 1800s. In 1905 Vaughan Williams noted down a rendition of the song from Mr Potipher, a farm labourer from Kent. Reportedly the song was instrumental in awakening Vaughan Williams’ interest in traditional folk music. The words are from the verse at the end of Kipling's Just So Story "The Beginning of Armadillos" and the tune was written by Kipling devotee Peter Bellamy. Like much of Peter’s legacy, it's a cracking song to sing. This song of recreation for Durham pitmen would have struck a chord with working men all over the country before the spread of TVs and computers. It was written by Benny for a Durham Theatre Company production of the play Pitmatic Times by Phil Woods. The origins are unknown, but it was in print by the early part of the 19th century. The theme appears in "Isaiah 40" and "The Epistle of James". The emotionally charged mother’s song from Peter Bellamy’s ground breaking 1977 folk opera The Transports. Another full bodied hunting song. We, like many before, were inspired to give the song our all by the inimitable singing of Swan Arcade and the much missed Dave Brady. Another offering from the pen of George Thomas. The common theme of a drunken sot should not be taken as an indication of George’s character, although he does enjoy the odd glass. Alfred Lord Tennyson's "epitaph", written while crossing the Solent 3 years before his death. He asked that it be placed as the last poem in all his published works. The "moaning of the bar" in line 3 refers to the sound made by the wind and waves passing over a sandbar during a storm. Regarded as his "crowning glory", Sir Fredrick Bridge set the poem to music for Tennyson’s funeral. However Rani Arbo wrote the tune we use and we were inspired to sing it after hearing a hauntingly beautiful rendition by Craig, Morgan and Robson. Written by Miggy as a farewell song for the group.